The ideal solution to maintaining skin in optimum condition. 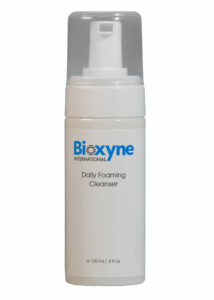 Bioxyne Daily Foaming Cleanser offers a gentle deep cleanse suitable for daily use and particularly beneficial to remove make-up. Utilising 100% naturally derived actives the cleanser delivers outstanding cleansing ability and yet leaves skin soft, smooth and unlike most cleansers moisturised. The advanced formula easily removes daily grime, dirt, pollutants and excess oils without drying or compromising skin quality. With its substantive deep cleansing foam, the Daily Cleanser leaves no pore-clogging residue and provides the ideal environment for the addition of moisturising creams and gels as well as makeup. Made from a unique combination of plant-based materials, the Daily Foaming Cleanser is free of petroleum-based cleansing agents, parabens, Sodium Lauryl Sulphates and other nasty ingredients generally associated with being bad for health and your skin. Wet face and hands, pump foaming cleanser onto hands, gently massage cleanser onto skin in a circular motion. Ensure complete coverage is achieved, rinse thoroughly with water and pat skin dry with a towel. 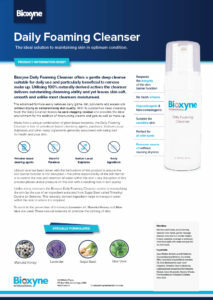 Utmost care has been taken with the formulation of this product to ensure the skin barrier function is not disrupted – the prime responsibility of the skin barrier is to control the loss and retention of water within the skin – any disruption of this process places undue pressure on the skin with a resulting loss in skin quality. 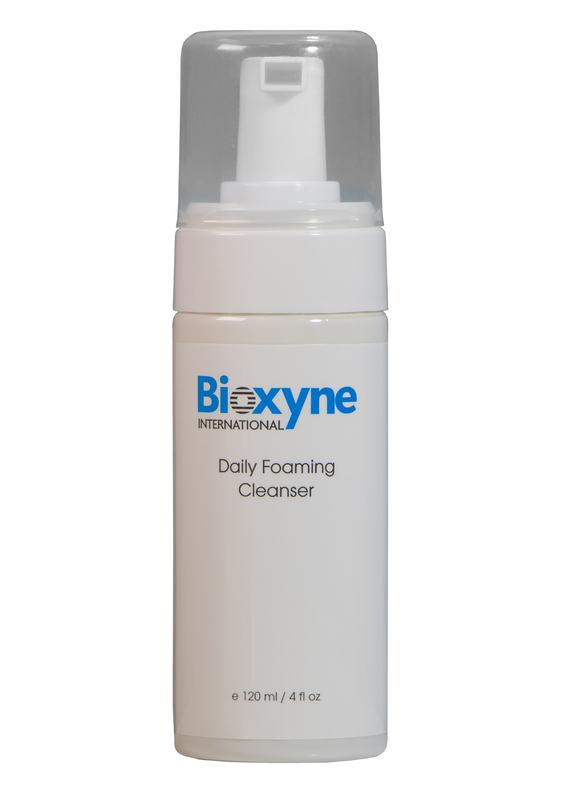 Unlike many cleansers, the Bioxyne Daily Foaming Cleanser assists in moisturising the skin by the use of an ingredient extracted from Sugar Beet called Trimethyl Glycine (or Betaine). This naturally derived ingredient helps to transport water within the skin to where it is required.